Nokia Lumia 900 is an upcoming flagship Windows Phone which is leaked through a promotional video aimed at developers. Thanks to All about Phones, a Netherland based blog, which discovered this video for us. This video was accidentally published by Nokia team for Nokia’s public, it seems that team forgot to mark private before posting it. This mistake provides us a chance to look the next Nokia Phone with Windows. Nokia Lumia 900 Smartphone is a sleek and stylish phone and its image is shown next to text “When you bring together Nokia’s stunning new hardware and a dynamic Microsoft OS you get amazing every day.” The codename of this handset is Nokia Ace and good thing is that we have some unofficial specs of Ace. This handset will come with a 4.3-inch ClearBlack AMOLED display, a 1.4GHz processor and an 8-megapixel camera with Carl Zeiss optics. When asked from Nokia about this handset and Windows 8 Tablet by a French Newspaper then Nokia France boss Paul responded that they have nothing to announce at this time. 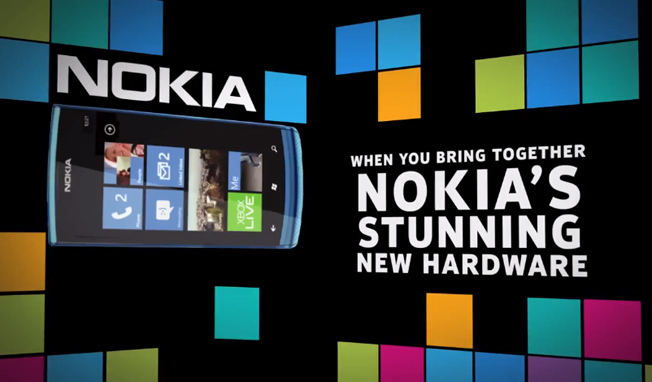 Anyways, you can check the promotional Video of Nokia Lumia 900 Below.